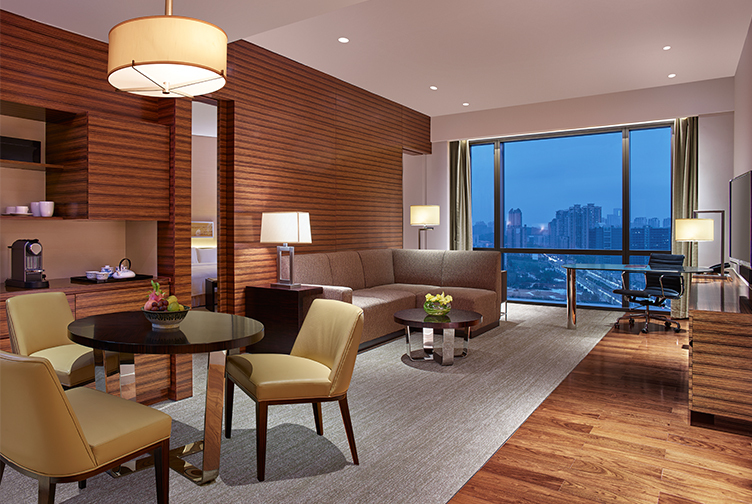 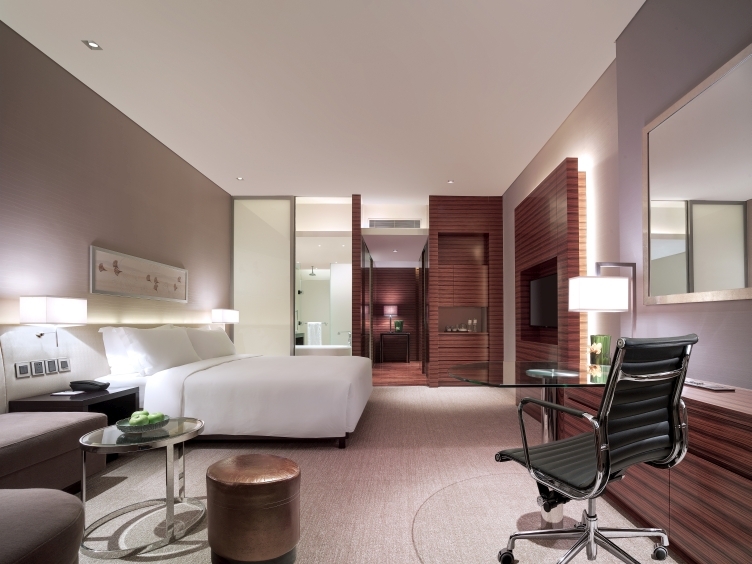 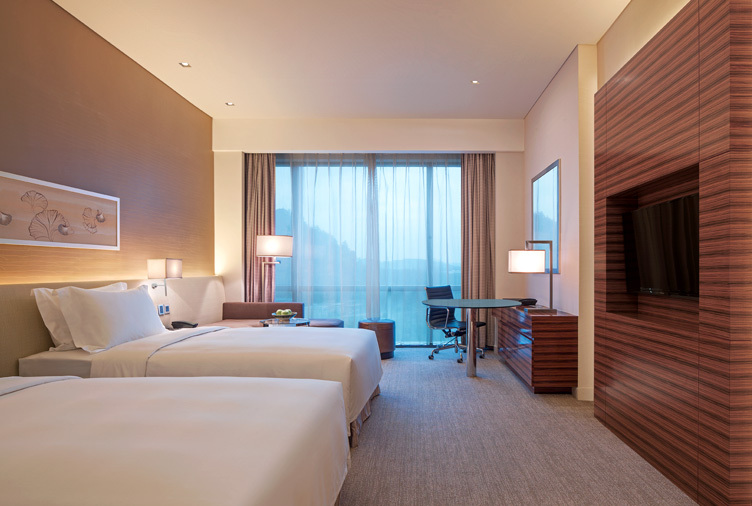 These luxury rooms at New World Guiyang Hotel offer privacy and special privileges. 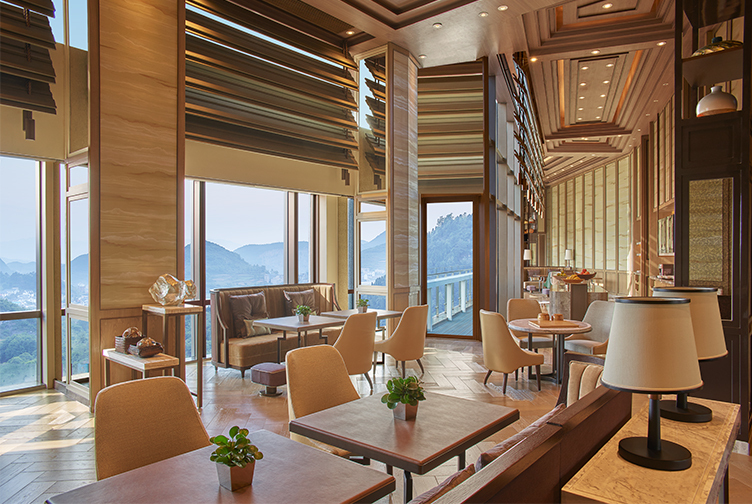 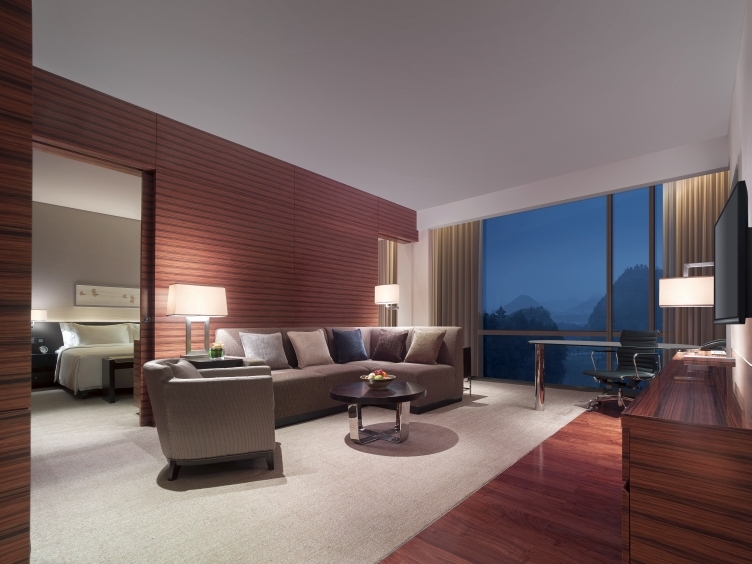 The Residence Club Deluxe Rooms on Levels 16 to 18 are 45 square metres and feature high ceilings and panoramic views of the city or the natural landscape of Guiyang. 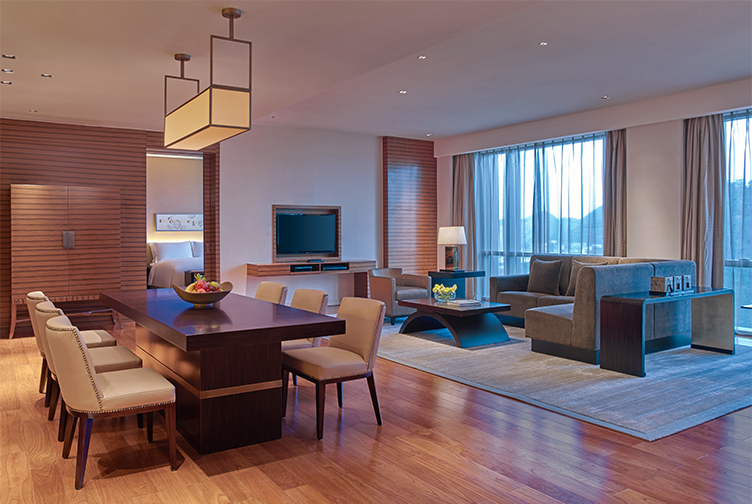 Beautiful furnishings, textured fabrics, pleasing colours, and mood and task lighting all work together to create a calming atmosphere in which you can relax and be yourself.